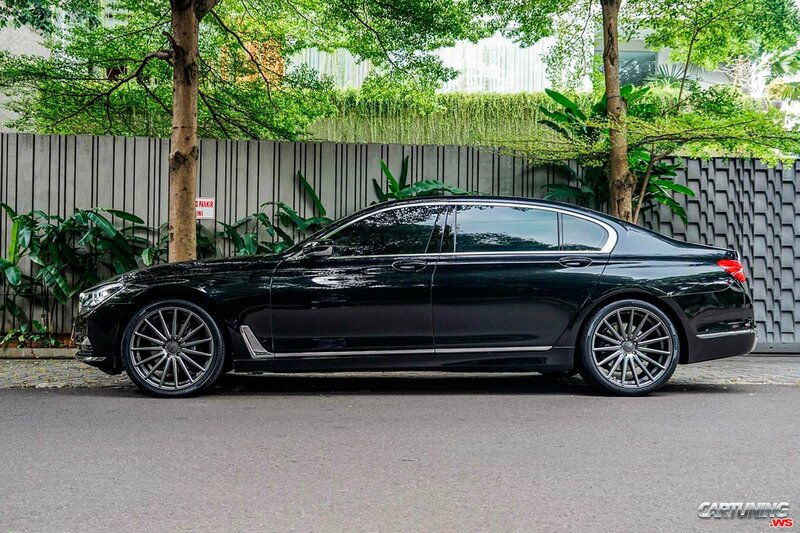 Black 7-serie with long base from Indonesia. It's expensive car, so usually first owners use them in stock or replace wheels by their taste, sometimes install body kits. These cars are enough powerful and luxury inside. This 740Li is almost stock but on cool wheels Vossen VFS-2.